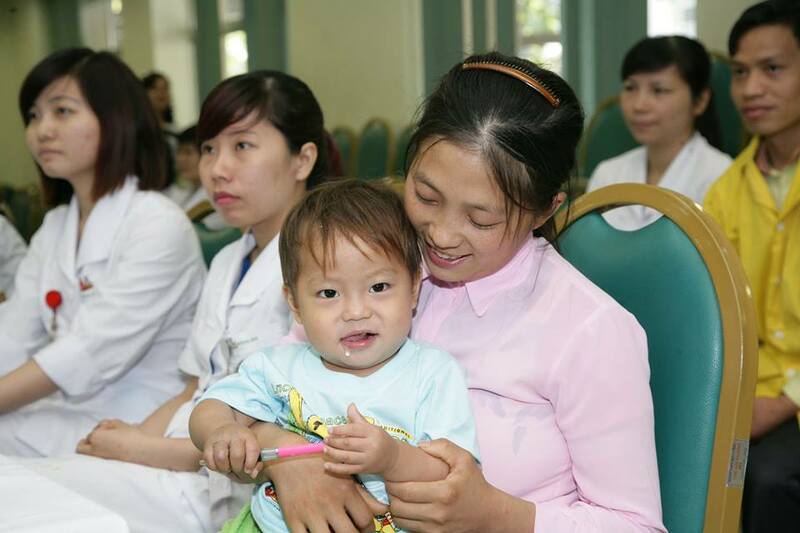 HA NOI (VNS) — The Bach Mai General Hospital announced today that it had successfully saved the life of a 2-year-old boy, who was bitten by a venomous snake. The boy was saved after being treated intensively for three days. The patient Vu Mi Cha, belongs to the ethnic Mong community, and was bitten by a very dangerous snake called Kho Moc on April 1 at his house in Cao Bang Province. His parents just applied a tourniquet, but did not immediately send him to a hospital seeking emergency aid. On the next day, Cha was taken to the Ha Giang Provincial Hospital before being hospitalised at the Bach Mai Hospital on the same day due to his blood becoming poisoned and his condition deteriorating with every passing hour. The hospital's Paediatrics Department Head Nguyen Tien Dung said Cha faced a high risk of fatality if he had not been admitted to the hospital in time. "His parents were even proposing to take him home as they did not have the money for this treatment," said Dung. The boy's health had recovered perfectly after a ten-day treatment with advanced medical facilities and techniques. The hospital even gave him free treatment and mobilised VND800,000 (nearly US$40,000) from donors to help his family overcome their difficulties.